This workshop is intended for teachers and TAs who work with students with learning disabilities. We will explore the adaptive features of the iPad and how they can help all learners, especially those with special learning needs. We will also learn some new apps that can help with note-taking, memorization and more. Use the QR Code on the right to bring you to this workshop webpage. Go to the Padlet wall for the workshop icebreaker. Add a note. Title it with your name and where it says "Write something." Type what you are hoping that the iPad can do for your students. The iPad has many accessibility features built right into the operating system. Let's explore a few. If you have a document in an ePub form, iBooks enables students to interact with text. Use speak screen to read the dictionary text. Type a title at the top of the note. (This is what will appear as the name of the note in your list of notes. Use the writing tools to write notes with your finger. Rewordify.com is an amazing website that will simplify difficult English as well as help improve vocabulary. Open a new tab and find a passage online that would be difficult for a student to read. (Try Photosynthesis from Fact Monster). Copy the difficult text. Paste that text into the yellow field in Rewordify. Yellow text will show the original word, and allow you to hear it pronounced. Tap the purple bar to learn the difficult words. If you create a login you can share your documents with a url. Play with the Demo if you would like to learn more. Cram.com is a resource that you and/or students can use to create flash cards to study and learn facts or memorize information. 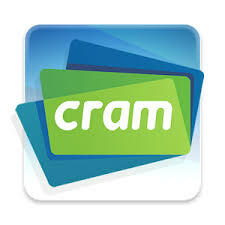 ​Go to Cram.com and sign up for an account. Create a set of flash cards. Flashcards mode - Allows you to look through your flashcards to study them. Memorize mode - Allows you to look through your cards and record if you knew what was on the flip side or not. You do not need an account to "use" the flashcards (any of the modes listed above). Simply provide the url to anyone with a web browser and they can study using your flashcard set.